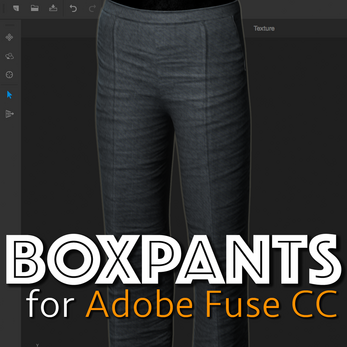 Wide-leg unisex "box pants" for Adobe Fuse male. 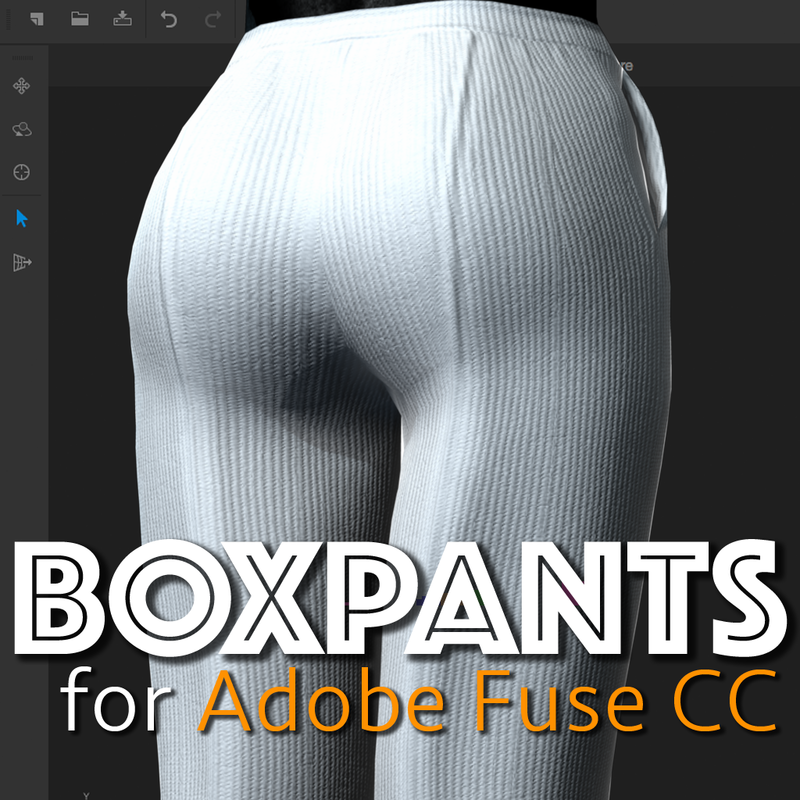 Also works with Fuse Female. 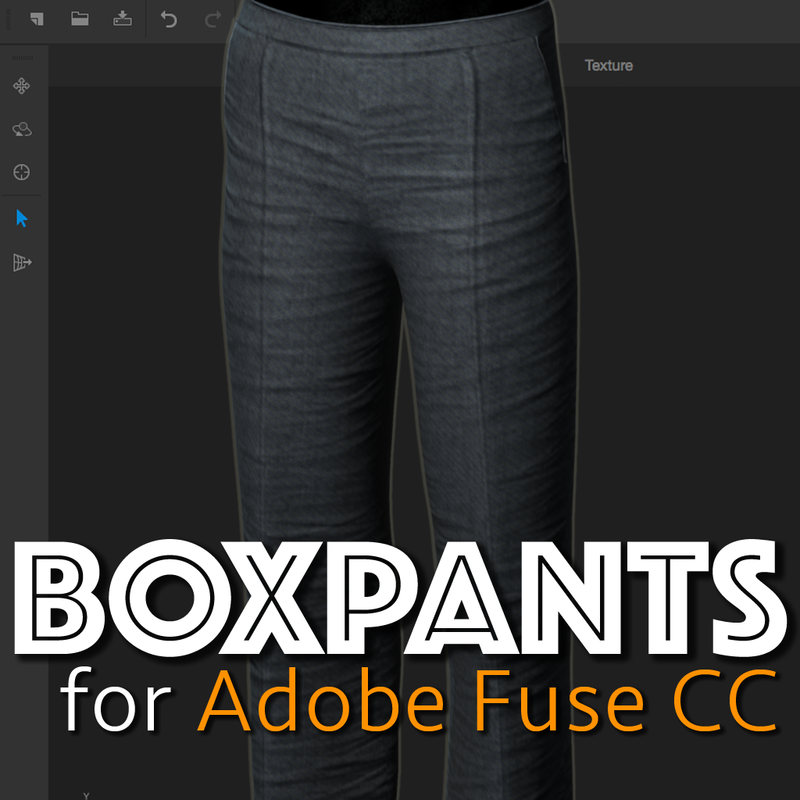 Includes 2 Adobe Fuse Presets ready-to-wear. Source OBJ and color mask included for custom import.